Magic: The Gathering's new set is poised to shake things up with more multicolor guild madness on January 25th, and we have two new cards to share. Both cards tap into a new keyword mechanic for the Simic (Blue/Green) guild, Adapt. Adapt allows you to change your cards to better suit the situation for some resources. 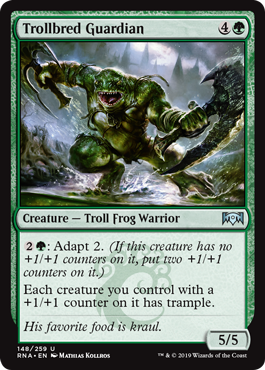 In today's examples, both are simple mana costs featured on uncommon creatures that makes them (and your other adapted allies) significantly stronger! Check out Skatewing Spy and Trollbred Guardian! Both options give you a solid amount of power and presence for their mana cost, and work even better with a field of +1/+1 counter critters, allowing you to benefit from flying and trample effects. 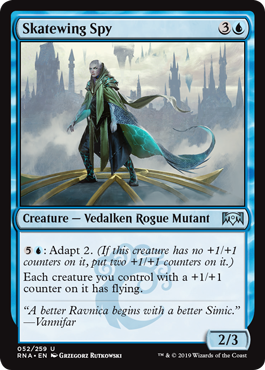 Simic has plenty of ways to add counters, and there are sure to be plenty of other creatures you can throw into the mix for even more bonus effects. 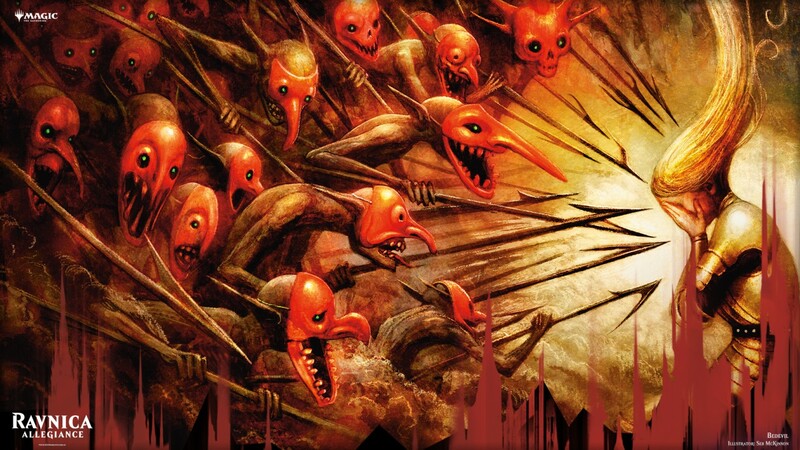 Ravnica Allegiance arrives on January 25th, with pre-release events taking place on January 19th and 20th.